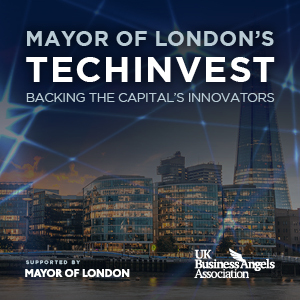 Register your interest for TechInvest Clean Tech Showcase: 27th March 2019! Complete the details below to register your interest to attend this showcase. Please note, this is an investor only event. Space is limited for this event and seats will be prioritised for Investors and UKBAA member Investors. You will be notified via email with further details regarding formal registration. Please note this is an investor only event and space is prioritised for those actively deploying capital in this space. If you are an entrepreneur looking for funding, please refer to our upcoming TechInvest events for opportunities to apply to pitch.